Maya loves to be with her family and she is so expressive in her emotion. She enjoys being loved on and if you stop, Maya will take her paw out to try to stop you from quitting, whimpering for more attention and love. 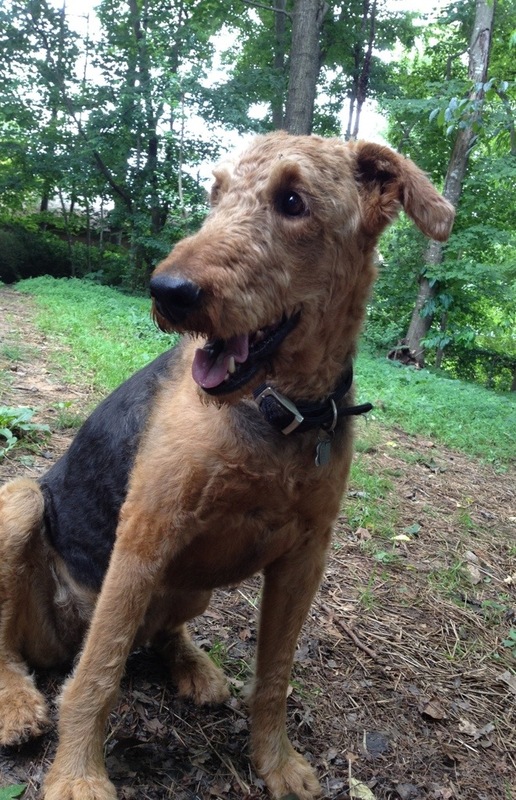 Maya is 7 years old and her family has had to make the difficult decision to rehome her. Maya lives with smaller dogs and she is not able to tolerate them. 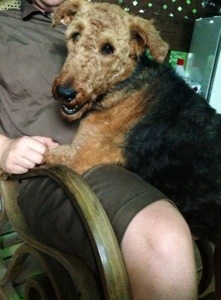 Her ‘little’ sister may be a bit yippy and annoying and Maya’s patience and tolerance level cannot take it. 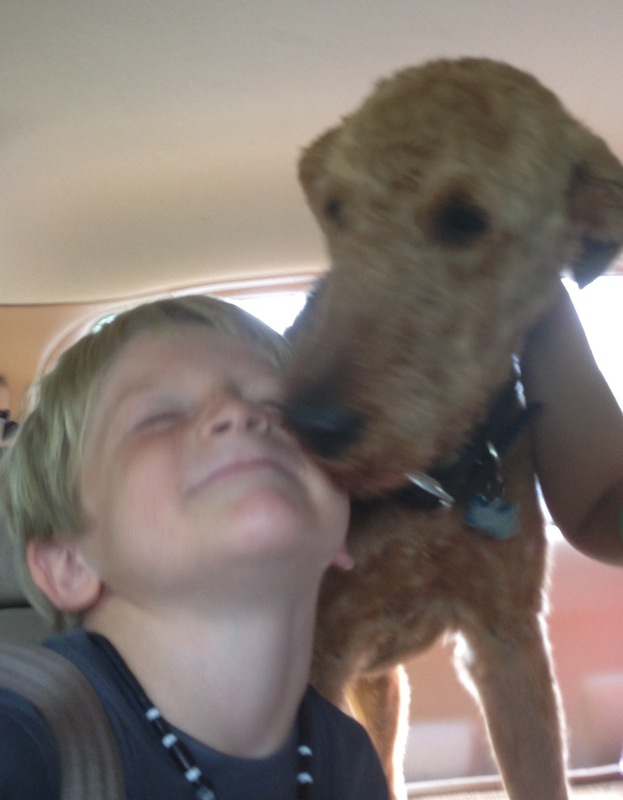 Maya loves her family and being with her people. 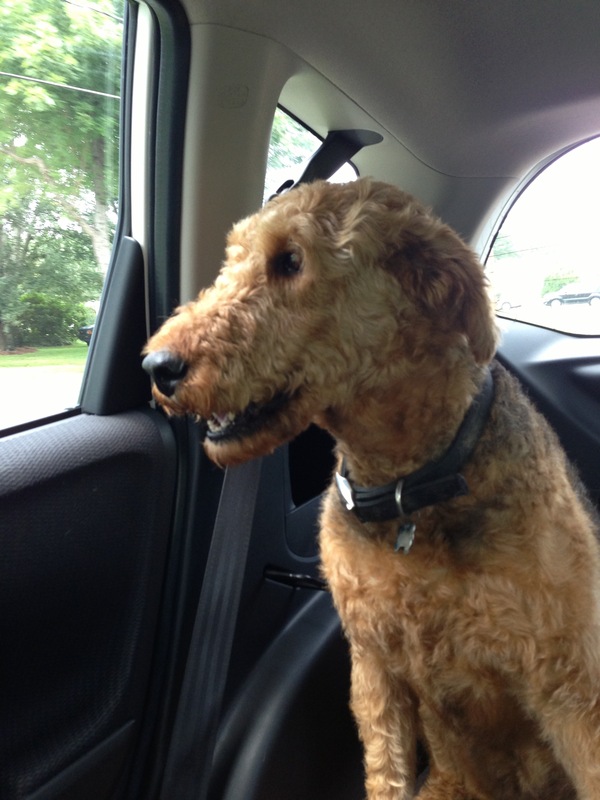 Maya will jump in the car for a car ride very happily. She loves to go on a hike and get in the creek. Her family takes her camping at the beach, what a life! She uses a fenced yard and respects the fence – will not escape. 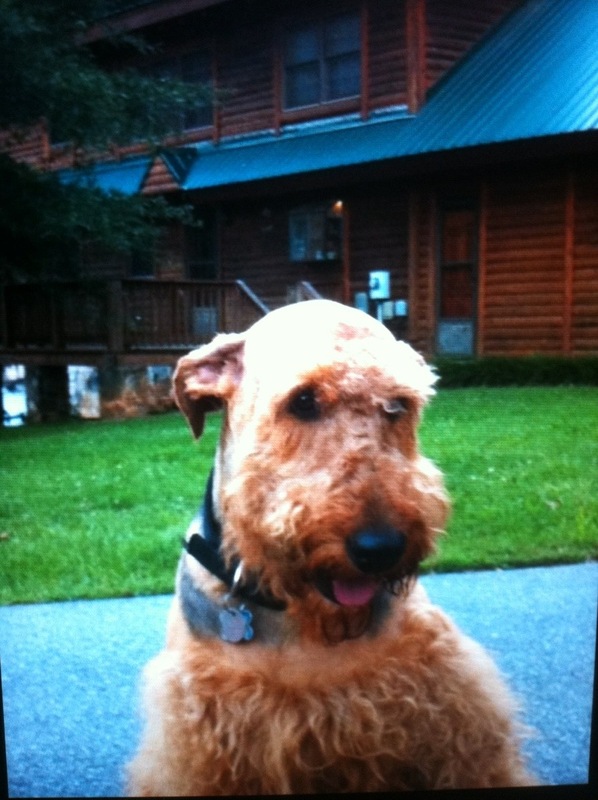 Maya is a typical Airedale and is the alpha in the pack. 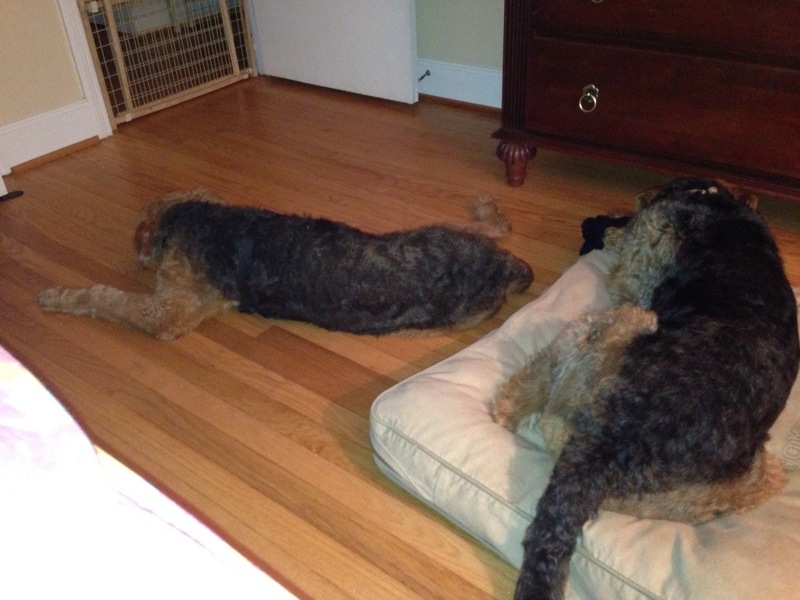 As typical with any of our Airedales, it is important that the human is the leader of the pack. Maya is 70 lbs. She is up to date on all of her vaccines. She is a healthy girl. Maya cannot be placed in home with cats or small dogs. She has grown up with children. Her birthdate is 6/7/06.